Lofra parts are available at Online Appliance parts. 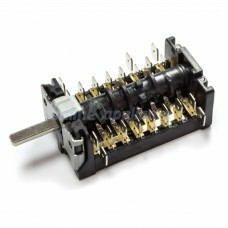 You can purchase the full range of Spare Parts for your Lofra Appliance. Just because it's not listed here yet, doesn't mean we don't have it. If the part you need for is not listed here, please contact us with the model number and we'll source the part for you. We might even have it in stock in our warehouse. Many Lofra appliances are the same as Technika machines, so there can be some crossover of parts. We stock Lofra Freestanding Oven Spare parts including Seals, elements, thermostats, Hinges and switches. All our Lofra Parts are only of the highest quality and factory original Lofra replacement parts unless stated otherwise. Part Number 03010890 Switch Multifunction 10 to suit Lofra Oven Items listed for Wall Oven..